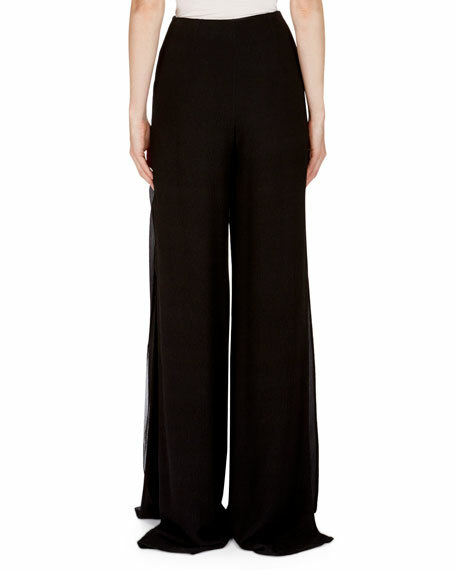 Roland Mouret silk crepe pants. Back hems fall to the floor. Roland Mouret answers our 5 Questions. 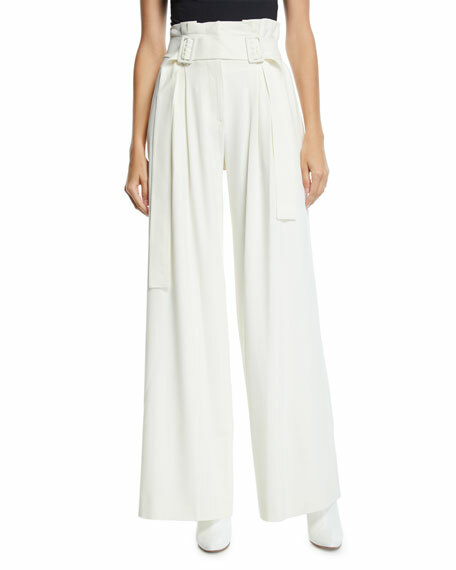 3.1 Phillip Lim pants in satin-back crepe. 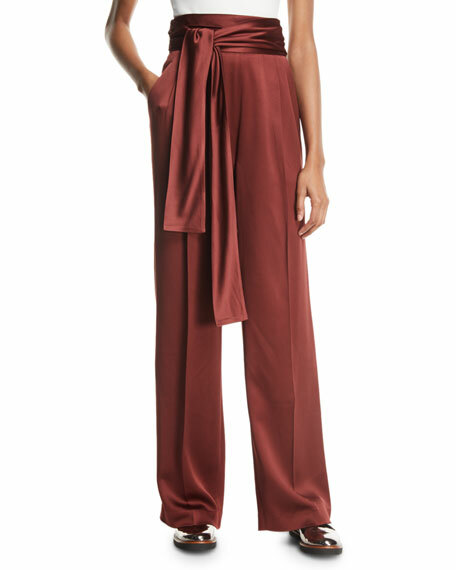 High-waist; self-tie belt. Side slip pockets. Back, button-welt pocket. Relaxed fit through wide legs. Full length. Acetate/viscose. Dry clean. Imported. 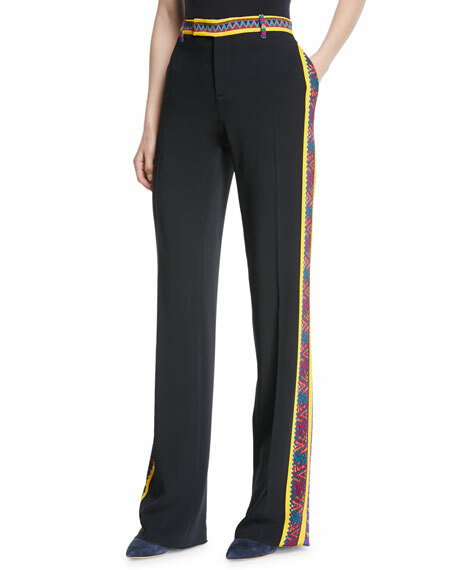 Etro crepe pants with embroidered border trim. Sits at natural waist. Side slip pockets. Back button-welt pockets. Tailored fit. Straight legs. Tabbed/zip front; belt loops. Viscose/spandex. Made in Italy. 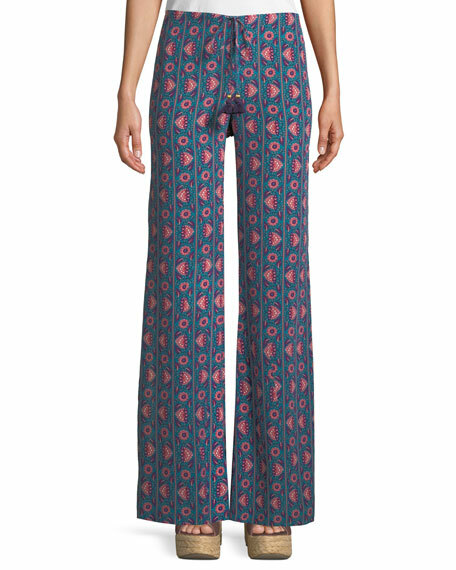 Figue "Ipanema" floral-stripe silk crepe de chine pants. 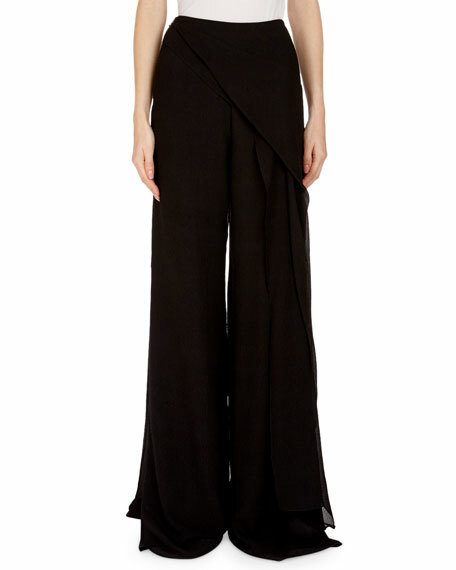 Natural rise; drawstring waist with tassel ties. Approx. 33.5" inseam. Wide legs; side split Pull-on style. Dry clean. Imported.